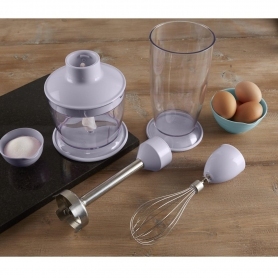 This stick blender from the Fearne collection by Swan is a stylish yet high-performance option. This range has been designed in collaboration with TV personality Fearne Cotton. Everything down to the choice of colour is distinctively Fearne - available in four stunning, yet sophisticated pastel shades. Add a splash of colour to your kitchen. 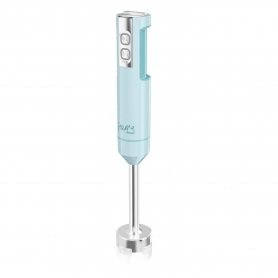 Let the SP21040LYN give you a helping hand in the kitchen, by making everything from chopping to whisking a breeze. Puree or blitz ingredients and enjoy a range of cooking possibilities, giving you the opportunity to get creative in the kitchen. 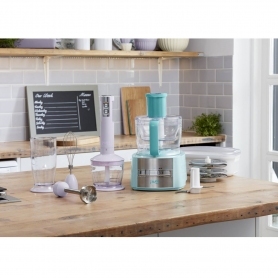 Experience the versatility this 3-in-1 blender has to offer. The strong four-tip stainless steel blade makes light work of slicing through food, cutting minutes off preparation time. 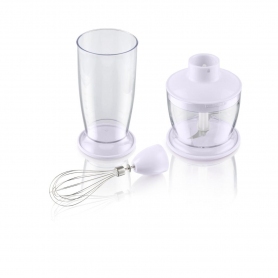 Switch between the chopping blade, 500ml chopper, and balloon whisk to get a wider range of results. 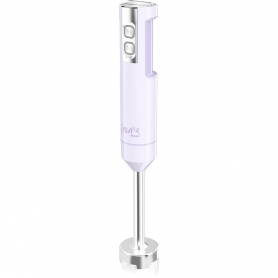 With two speed levels and a variable speed controller option, you can adjust the results according to the ingredients. If you’re preparing drinks, simply pour the blended liquid into the included 800ml beaker and enjoy. 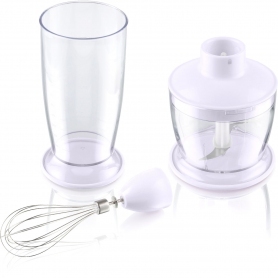 A slim, user-friendly handle means you can comfortably hold the blender and experience ultimate control. It has a die-cast aluminium body for added quality and durability, as well as a surprisingly quiet operation from the 800W motor. 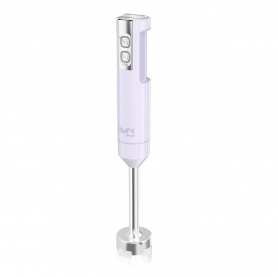 To top it all off, cleaning up after your culinary creation is quick and easy, as the detachable parts are dishwasher safe. 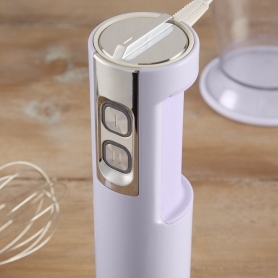 This stunning stick blender is the perfect addition to any modern kitchen. 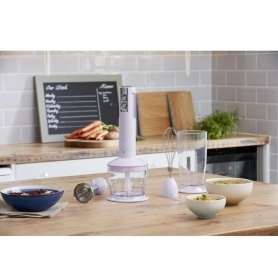 Make blending a breeze with this stylish model from Swan, which offers a choice of attachments and speed levels. Order yours today.